Make an appointment today. Great Eye Care includes both Eye Health and Vision Exams. Children from 8months and up need a professional eye exam. School and pediatrician screenings are not exams. Call Today. Call us at (651) 735-9550 today. 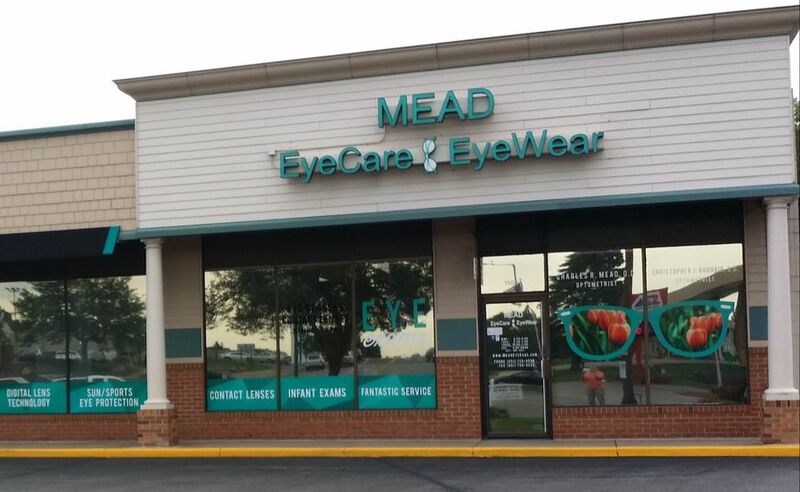 Welcome to Mead EyeCare & EyeWear in Woodbury. Dr. Charles Mead and the rest of the Mead EyeCare & EyeWear team strive to provide the best in optometry services. We invite you to browse our website to learn more about our optometry services and join our patient family by scheduling an eye exam appointment at our Woodbury office. Mead EyeCare & EyeWear is a full service eye and vision care provider, accepting both eye emergencies as well as scheduled appointments. Patients throughout the Woodbury area come to Mead EyeCare & EyeWear because they know they will receive the personal attention and professional care that is our foundation. Our team is dedicated to keeping our patients comfortable and well-informed at all times. At Mead EyeCare & EyeWear, we will explain every exam and procedure and answer all of our patients' questions. Additionally, at Mead EyeCare & EyeWear, we offer vision financing options and will work with vision insurance providers to ensure good eye health and vision care for all of our patients. Our one-on-one approach to optometry makes the Mead EyeCare & EyeWear staff the eye and vision care providers of choice in the Woodbury area. Our Woodbury optometrist offers the following services: complete eye exams, contact lenses, glasses, glaucoma testing, and pre- and post-operative care. For a complete list of services, visit our services page or call our Woodbury office at (651) 735-9550. At Mead EyeCare & EyeWear, we are dedicated to providing high-quality optometry services in a comfortable environment.Call us at (651) 735-9550 or schedule an appointment today online. We strive to provide complete care for our patients. Access your patient portal here to access all your documents. Charles R. Mead, O. D.
Dr. Mead's practice encompasses people of all ages from pre-school through senior citizens. The practice serves contact lens patients, lasik patients, and many more patients with a variety of eye care needs. He received his Doctor of Optometry degree from the Illinois College of Optometry and returned to his native Minnesota to practice in Woodbury. Amanda A. Pojanowski (Dahlke), O.D. Originally from Door County, Wisconsin, Dr. Dahlke received her Bachelor’s of Science degree from St. Norbert College in De Pere, Wisconsin. She then moved to Portland, Oregon where she received her Doctor of Optometry degree from Pacific University College of Optometry where she graduated as a member of Beta Sigma Kappa, the International Optometric Honor Society. We welcome patients upon arrival, checking in patients scheduled for exams. We direct the patient flow, finding the correct staff to help with your needs, and schedule or reschedule appointments through incoming phone calls. Verifying insurance and preparing files for the next days patients plays a major role in our day to day activities. We greet and guide the patient through the exam process. We gather and enter patient history, acuity and refractometry information for the doctors. We also take digital retinal images (Optomap) and OCT images which the doctors interpret for the patient. We make follow up calls to patients after their urgent visits to make sure their eye conditions are improving. Audrey manages the practice, is a resource for the staff, works with the offsite insurance billers, and also works in the optical when needed. "Very informative and carrying. Great up to date equipment. Friendly and Thorough examination. Felt very comfortable with my whole experience here." "Great docs, never an insurance program and well educated frames specialist. Great practice!!" "Friendly staff; good selection and help finding a style. The optional OptoMap Retinal scan is a super-nice alternative!" "I went in just to check out some specialty glasses that my local clinic does not carry and ended up playing an order. Audrey was very helpful and easy to work with." "Dr. Dahlke got me I. The right lenses and I couldn’t be more pleased with the outcome." "Thank you! You guys always do a professional job. Much appreciated." "Dr. Sill is amazing and the staff very friendly and extremely helpful!!!!" "Amazing experience! She provided explanations and continued to make sure I did not have any questions!" "Dr. Mead and staff are easy to work with and extremely friendly - refreshing experience. Appeared to have the technology and understanding that should make most patients feel comfortable that they can properly diagnose and assess eye care health. Would’ve appreciated a little more detailed insight on alternatives, that said, I would recommend Dr Mead and his team." "I went to Dr. Sill and was very impressed by her. She was very thorough and resolved my complicated eye issue. I will definitely recommend her to others! Thank you!" "I haven't had an eye exam in over 5 years. Amanda Dahlke was great! Very professional and didn't give me a hard time about not getting my eyes checked in that long! She was very informative and helpful with any questions I had! I will definitely be back next year to see her for my eye exam!" "Everyone was so cheerful! From checking in to wrapping up, even though we were the last appointments of the day, my husband and I were received with sincere smiles, comprehensive information and even engaging conversation. Our coverage and options with our insurance was explained thoroughly. The exam was breezed through, but not in a hurry: it was the most thorough exam that I've ever had with an optometrist, with multiple tests. We weren't pressured into picking frames or choosing contact lens packages then and there, and left with a file folder of information and advice. This clinic is amazing!" "This was the most pleasant experience I have ever had. From check in at the front desk till I left. All questions were answered in a very calm and professional manner. Everyone was very caring and treated me like I was number one. 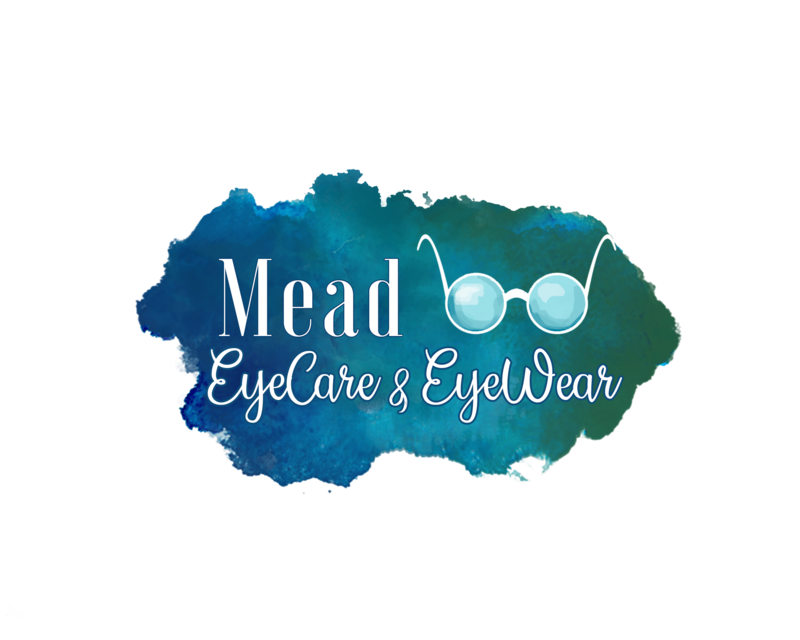 I give Mead eye Care a 5 star rating"
"Love Mead! Great staff and doctors. Super kid friendly"
"Absolutely great!! Support staff and Dr. Meade went above and beyond to make sure I was 100% satisfied with everything"
"My last visit was great as always. Currently I have a new health concern and Dr. Mead was extremely helpful concerning my eyes and over all health." "I want to comment on yet another example of a staff member going above and beyond. My elderly mother fell and hit her face, causing her glasses to be bent out of shape. I loaded her into the car and headed to Mead Eyecare to see what they could do to help. Upon arriving at the office I had her wait in the car while I checked to see if someone was available. After hearing the problem Nicole said she would come out to the car to look at the glasses. She then took the glasses inside reshaped them and brought them back out. They were just right. This meant the glasses were repaired without my mother having to get out in the cold and snow to go inside. Thank you Nicole and Mead Eyecare for wonderful customer service. We will return for all our Eyecare needs." "I literally get excited about my visit to Mead Eyecare! Dr. Mead is delightful, patient, very knowledgeable, and unpretentious. I'm always confident in my exam, and come away feeling smarter and more informed about my eye health. As an aging patient, I value Mead Eye Care for their professional attention and assessment." "I can’t bekieve that I had fun at the eye doctor but I did! All of the staff was top notch but the secret gem was Dr. Mead! He was delightful, knowledgeable and caring. Great selection! Great prices! With my vision plan from my employer I was able to get a great pair or glasses at a great price! I will be back again!" "I have been receiving eye exams and wearing glasses since I was a kid and never have I had such a thorough eye exam. Their up-to-date technology ensures an accurate exam. The lady who helped me choose a pair of glasses was incredibly helpful and fun! I am looking forward to my next visit as well as getting my new glasses!"